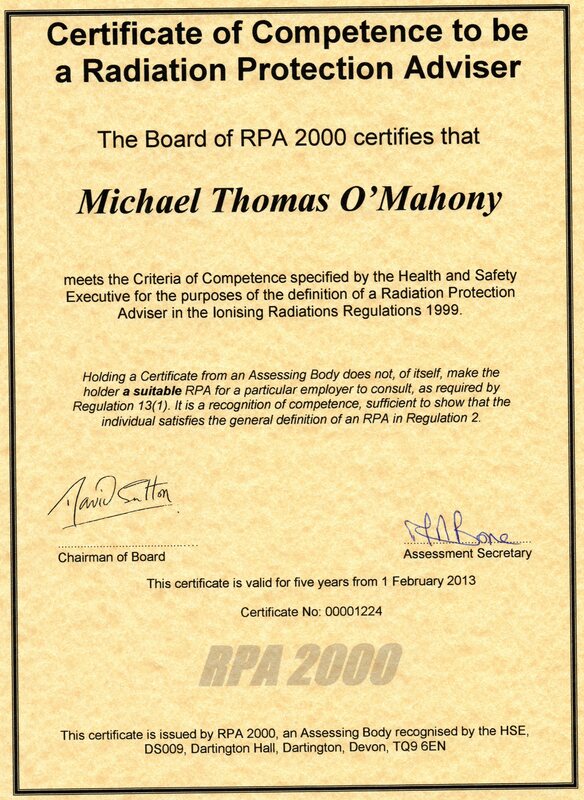 Michael O'Mahony is a fully qualified Radiation Protection Adviser and Radioactive Waste Adviser. 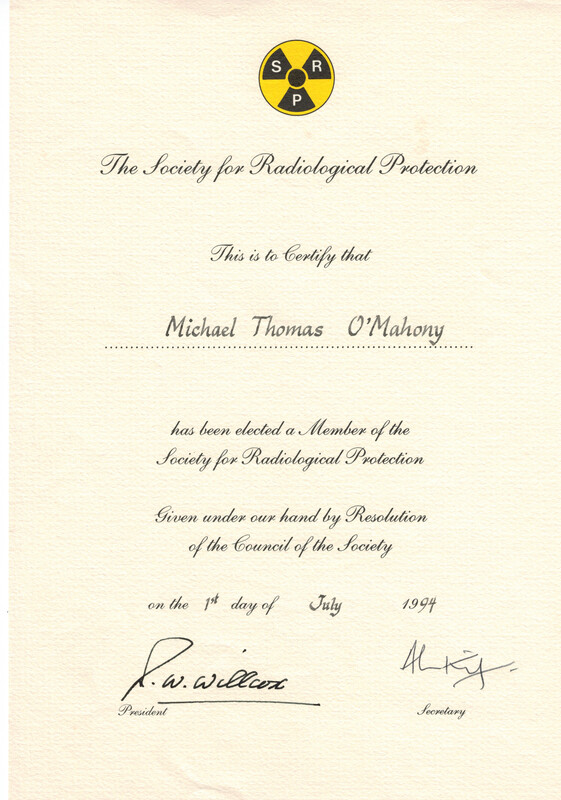 He has at least 25 years experience in providing expert advice to the many users of X-ray devices, sealed radiation sources, unsealed radioactive materials and other ionising radiation equipment. 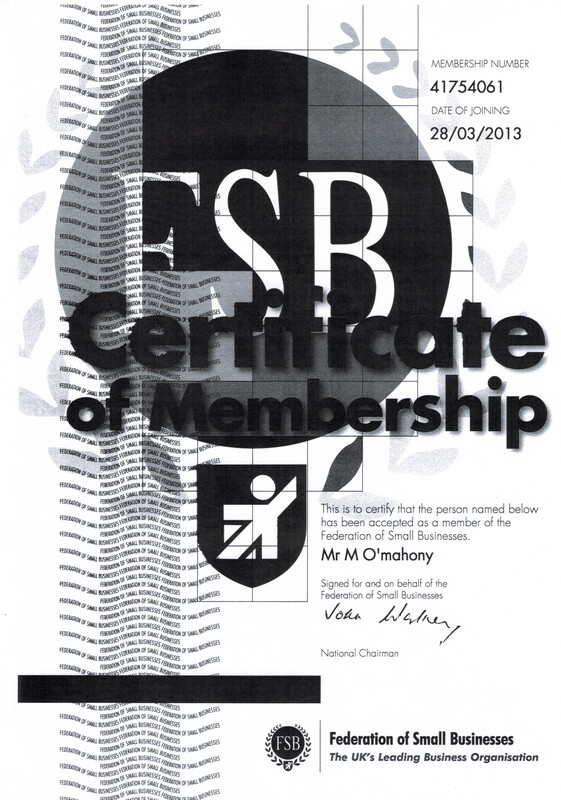 He is also a recognised radiation protection training provider with at least 20 years experience in the field. Please see below for details of the Radiation Protection Adviser certificates, the Radioactive Waste Adviser certificate, a brief CV and other professional and service details.